With property values on the rise in many markets it is a good time to consider pulling equity out via a cash out refinance. Taking equity doesn’t work in every situation, but for some it is the ideal option to help grow their business. The cash out can be used to pay down debt, start a marketing campaign or buy additional assets. There is a huge difference in the loan process and approval for a rental property as opposed to a primary residence. If you haven’t taken a traditional bank loan in some time you may be surprised at just how much paperwork and red tape are involved. However, if you have the credit scores, income and equity a refinance may be the best option for you. Here are five steps to refinancing a rental property. Run the numbers. Before you do anything, it is essential that you run the numbers and make sure the deal works for you. There are times based on the loan amount that reducing your interest rate may not lower your payment. With a refinance you need to account for the establishment of the escrow account, closing costs and higher loan amount. When you factor in everything you may very end up paying more per month. This can still make sense depending on what you intend on doing with the money, but you need to know exactly what you are getting into. There are plenty of places to find a simple mortgage calculator online where you can play around with the numbers. 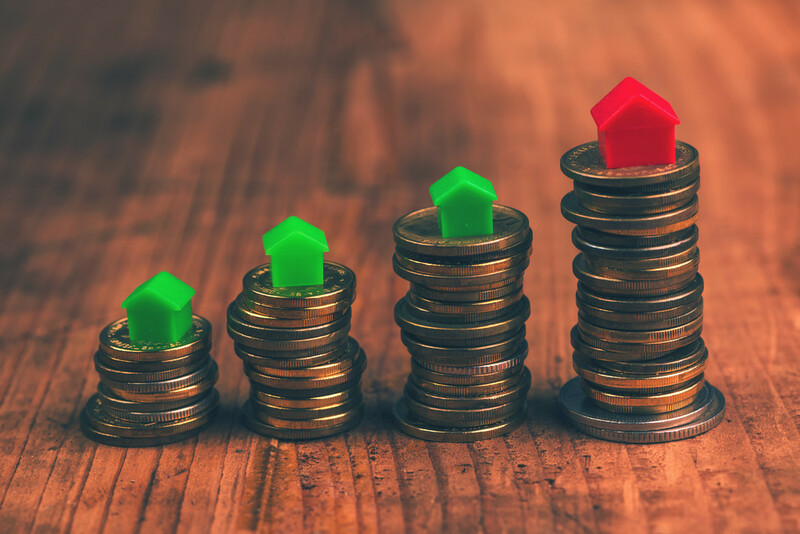 When doing this you should know that interest rates for investment property loans are on average a point higher than non-owner-occupied loans. Only if you are confident that the numbers work, and you have a set plan with any cash out received should you move forward. Find the right lender. As we mentioned there is a big difference in a loan for a primary residence as opposed to one for an investor. Almost every local bank or lender can do an owner-occupied loan, but not everyone will entertain an investment loan. It is important that you work with someone that has access to the right program for you. Start by reaching out to a local mortgage broker. Mortgage brokers often deal with dozens of lenders, each with specific guidelines and qualifications. They can pull your credit report once and use that with every lender they work with. Investment loans require higher credit scores and increased equity. Depending on the number of units you may need a 720 score with 20% equity, or an 80% loan to value. The right lender knows exactly what to look for and can tell you pretty quickly whether they can do the deal, or not. The last thing you want to do is waste money on an appraisal, and weeks of time, on a deal you can’t do. Get docs in order. Most real estate investors have tax returns thicker than some novels. Perhaps the biggest hurdle in any investment loan is verifying income and collecting paperwork. Once you finish running the numbers and are ready to explore your options you should start getting everything in order. At a minimum you will need two years of tax returns, two pay stubs, bank statements and a current mortgage statement. If you are self employed, you will need a business license and possibly an accountant’s letter. Your loan officer will give you a detailed list of items needed but you should get a jump on these items if possible. The more items you can accumulate the easier it will be for your broker. Let them figure out what is needed and what isn’t. The longer you wait to get everything together the longer before you can lock your rate and the higher your payment may be. Minor updates for appraisal. Credit score and equity are the two biggest components in an investment property refinance. Sometimes, just a few thousand dollars can make or break the deal. It is a good idea to look at the property and look for any minor repairs before the appraisal is ordered. It is unrealistic to give the house a complete facelift, but you should do any minor updates. If the gutter is hanging off, you should fix it. If the stairs of the deck are broken you should look to fix them. These won’t sway the value too much either way, but they may influence the appraiser or a lender that is on the fence. If the lender sees debris around the house or broken windows on the appraisal report they may not be as inclined to give you the benefit of doubt on the value. Accept the process. If you have closed a lender financed deal in the past few years you know how difficult things can be. Lenders will scrutinize every large deposit in your account, every item on your tax return and everything on title. This is just the way it is and there is no use fighting it. Instead of protesting every time your lender asks you for an additional document you are better off getting it asap. Whether you agree with it they lender won’t move forward unless they have everything they want. The process is going to be a lot more difficult than you remember. Instead of fighting everything, you should accept the process. Refinancing a property may not be easy, but it can be a perfect way to free up capital for your business.